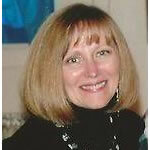 Jane Thompson is Associate Director of Faculty Services and Research and Senior Instructor for the William A. Wise Law Library at the University of Colorado Law School, where she has worked for over 30 years. She holds library and law degrees from the University of Denver and is a past president of the Colorado Association of Law Libraries. Jane has presented programs on basic and advanced legal research topics to law students and professors, librarians, attorneys, and judges.